Our external PVC Cladding is a popular, versatile and maintenance free option for covering external elevations. It comes in a variety of colours and cladding panels can be fixed horizontally, vertically, or even diagonally should the design require. External Cladding can be installed over walling made up of any number of different materials including traditional brickwork, block and timber frames. Our PVC Cladding is manufactured by FloPlast and Freefoam. Shiplap and V Joint Cladding are differentiated by size and profile - our Shiplap Cladding is a wider 150mm (6") board as opposed to the V Joint Cladding which is 100mm wide (4"). Our Coloured Weatherboard Cladding has a New England style due to its profile and colour options and is even larger at 170mm (6.75"). When comparing Shiplap and V Joint Claddings, Shiplap tends to look a little more traditional in appearance due to the wider overlap between each board. This can be more clearly appreciated in the comparison image below. PVC Cladding is effectively maintenance free as its skin is weather resistant and thus moisture cannot penetrate into the core of the board. Unlike timber therefore PVC Cladding does not deteriorate through rot, and also does not require the application of protective coatings to maintain its appearance and climate resistance. Our Cladding provides an additional external barrier - it will benefit the building’s insulation properties and reduce thermal loss. This has been recognised by the A+ rating under the Code for Sustainable Homes. As well as its insulating properties, our PVC Panels also have acoustic properties leading to a reduction in background noise. Much like timber, PVC Cladding is easily cut and nailed using traditional tools, and despite its durability these products are relatively lightweight so can be easily manoeuvred into position. Unlike timber products our PVC Cladding is not easily ignited and does not provide a source for combustion. As market leading products our ranges of plastic wall cladding have gained BBA Certification as well as being British Standards Registered. 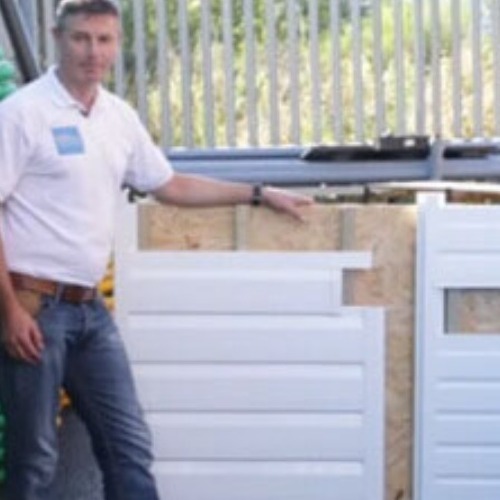 For a quick overview of how PVC Cladding works, please take a moment to watch the short video below. There are 3 different styles of PVC panels stocked by PVC Cladding and regardless of the style chosen these are complemented by a range of trims to suit all applications. Our PVC Shiplap Cladding range is most popular when the area to be covered is fairly large and whilst this is normally as an external wall covering its uses have also included the internal ceiling of a commercial swimming pool. The V-Joint Cladding range is best suited when covering areas which are relatively small such as porches, the sides of dormer windows and gable ends. Our coloured embossed weatherboard is the most decorative option of the three styles that we stock, with a subtle textured New England style appearance. 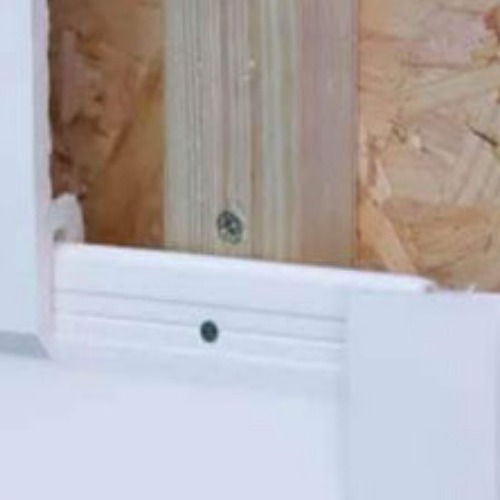 To preserve the external look of the PVC Cladding after installation the tongue and groove joint system allows for the fixing pins to be hidden behind the overlapping lip of the next cladding board. Our PVC Cladding comes in 7 different colours to suit aesthetic or practical preferences, the most popular continues to be our White Cladding. Our ranges of Woodgrain Cladding are gaining in popularity, the Rosewood Range adds a unique finishing touch to any application, whilst our Black Ash Cladding range provides a look which is simple and classic, and the range is completed with our Golden Oak PVC Cladding range providing a contemporary finish to the building. These colour ranges replicate those found in our Replacement Fascia ranges so that the project can be colour matched throughout if required. 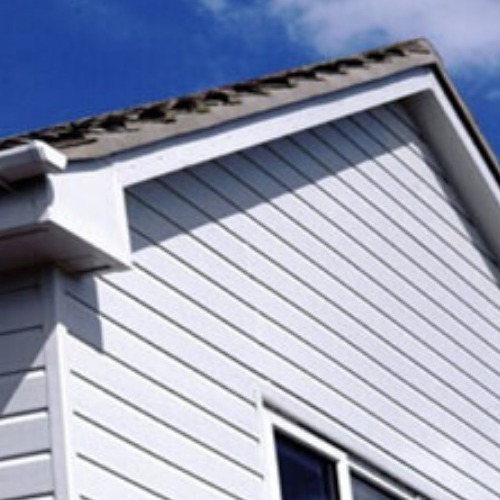 Our Coloured Weatherboards are available in embossed White, Storm Grey, Colonial Blue and Sand. Our PVC Cladding ranges come complete with a 10 year guarantee which covers both product performance and significant discolouration. Fire Rating of our PVC Cladding Systems. Our Shiplap, V Joint Cladding and Weatherboard Claddings have the added benefit of a Class 1 fire rating in accordance with BS476 : Part 7 1997, giving this material a distinct advantage over traditional timber cladding. This essentially means that the materials are not easily ignitable, they do not burn freely and out perform timber in fire. PVC cladding resists the spread of flame and should not be confused with other types of cladding systems such as insulated steel profile cladding that have been the source of some speculation following some recent fires. Our Shiplap and V Joint PVC Cladding Systems has been assessed and given an A+ rating, which allows the specifier/housebuilder to claim the code for sustainable homes maximum of three points when using PVC cladding on an external wall system. Our ranges come in standard lengths of 5 metres and are relatively straight forward to install, there are detailed installation instructions and helpful videos available in our Guides and Tips Section.